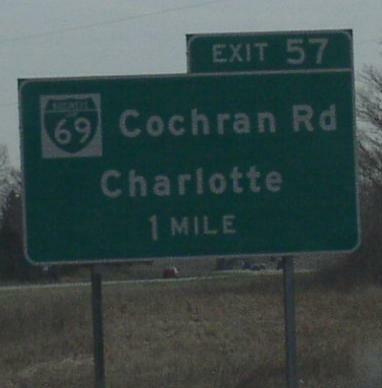 Business Loop Interstate 69 runs north-south in the Charlotte-Area. This runs between M.P. 57 and 61 on Interstate 69. 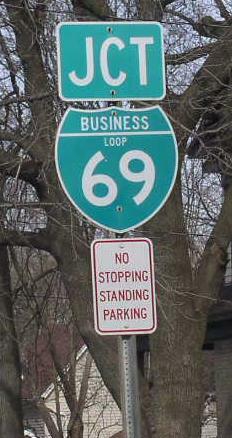 BUSN Loop I-69 passes through the following town in Eaton County. 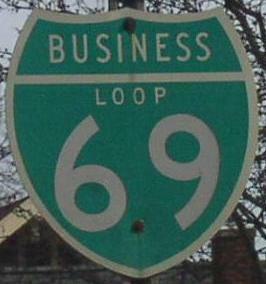 BUSN Loop I-69 is multi-plexed in Eaton County. 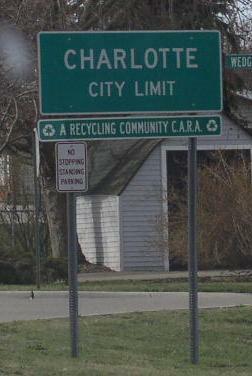 Michigan State Route 50, at Charlotte. BUSN Loop I-69 intersects the following highways in Eaton County. Michigan State Route 79, at Charlotte. 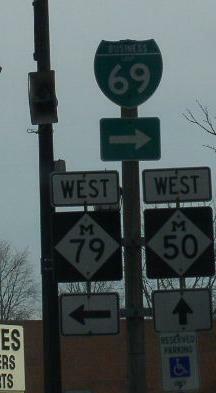 A junction marker on WB MI St Rt 50. 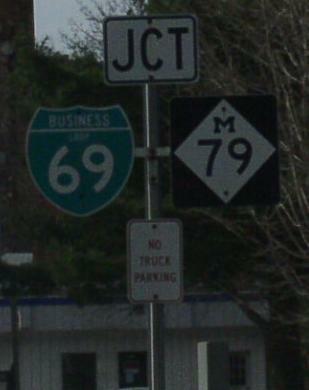 A junction marker on EB MI St Rt 50.